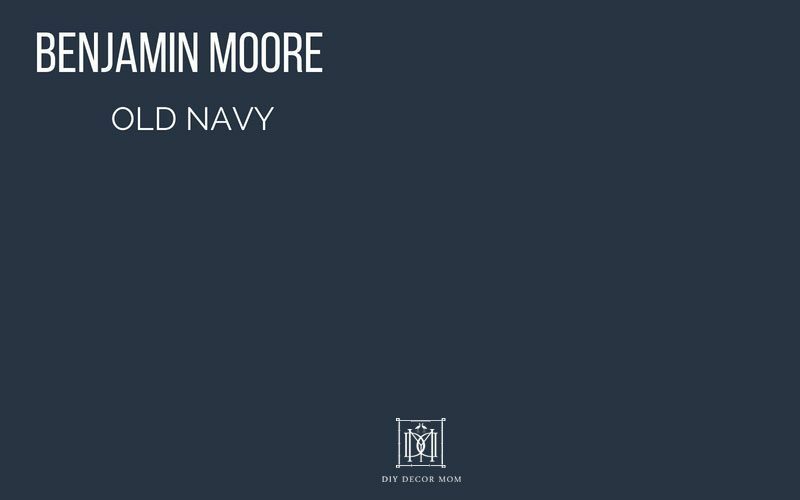 Benjamin Moore Hale Navy: Any navy blue lover has heard about Hale Navy. 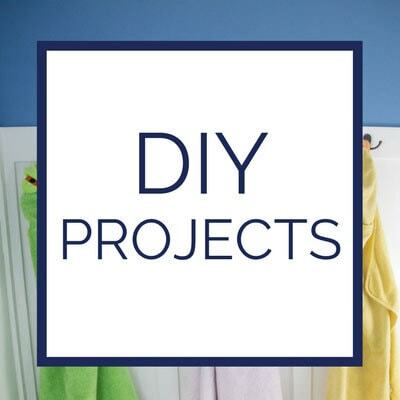 Most likely, you’ve pinned a stunning navy blue kitchen, butler pantry, or Hale Navy bedroom without even knowing it. 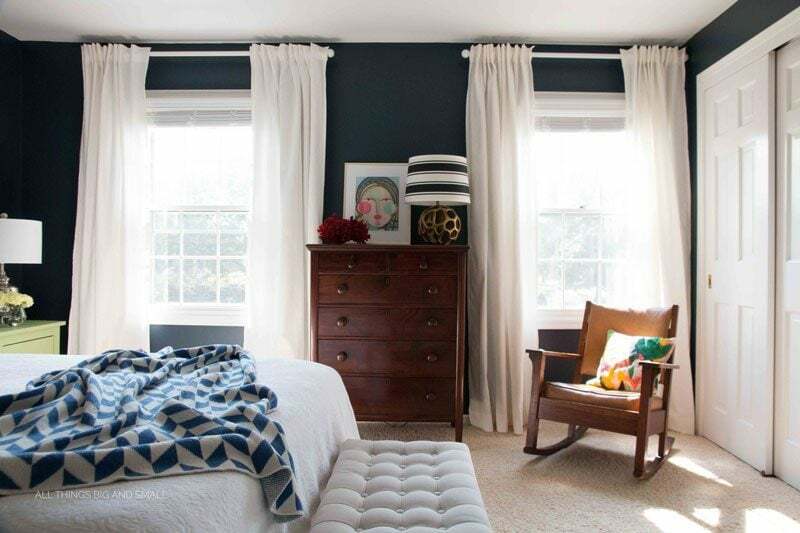 It’s one of the most popular navy blue paint colors for a reason–it’s a fabulous navy paint that looks good pretty much everywhere! 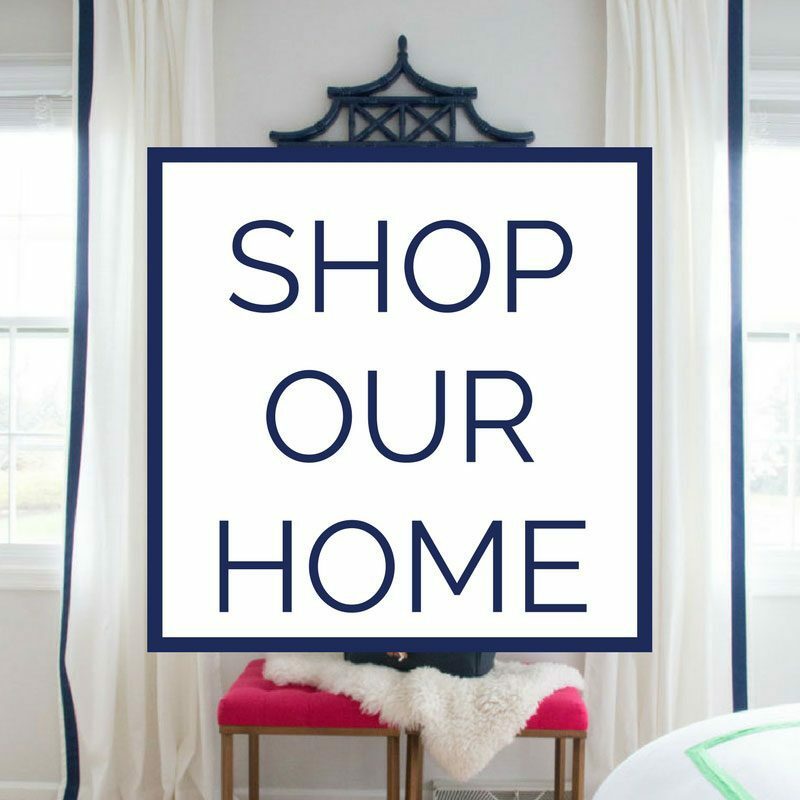 Because I only have so many rooms in my house which I can dedicate to painting Hale Navy (two so far), I’ve rounded up pictures from some of my favorite blogging friends to show you how it looks in different lighting conditions. 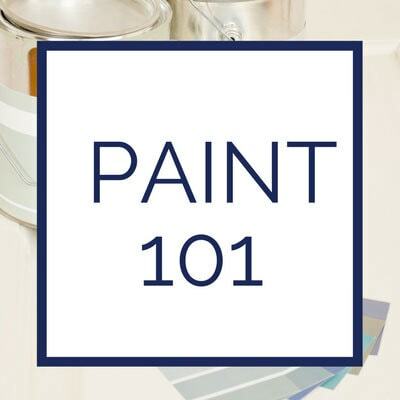 Plus, I’ll share how it compares with popular navy blue paint colors like Benjamin Moore Van Deusen Blue, Sherwin Williams Navy Blue, and Sherwin Williams Indigo Batik! BM Hale Navy is a true navy blue paint color–unlike other paint colors, there aren’t green undertones. What separates it, and in my opinion makes it the most versatile, is how it has grayish undertones instead. This sophisticated undertone gives it the license to grow from decadent butlers pantry to a three-year-old bedroom! After using it in our guest room, which will eventually be Jack’s big boy room, and our laundry room, you can see how it flatters each space. 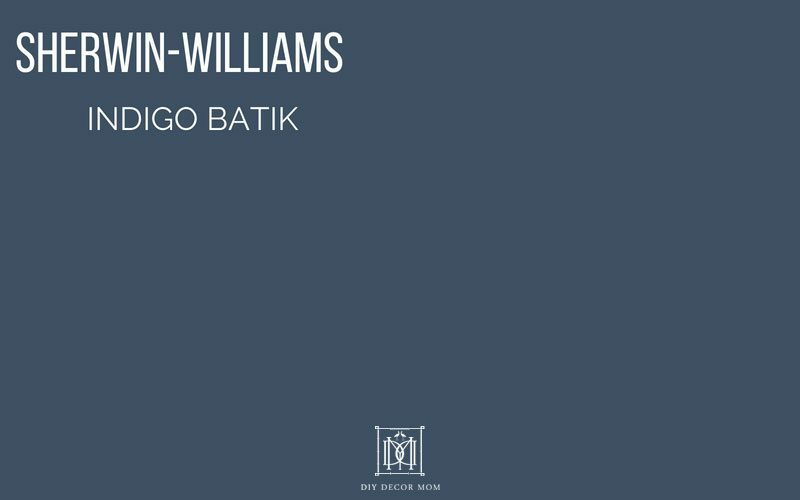 And don’t forget–if you’re painting a room, you have to grab this! Since buying this, my time spent cutting-in (especially dark colors) has been cut half! Once we got this, my husband finally paints too because it is so much easier! 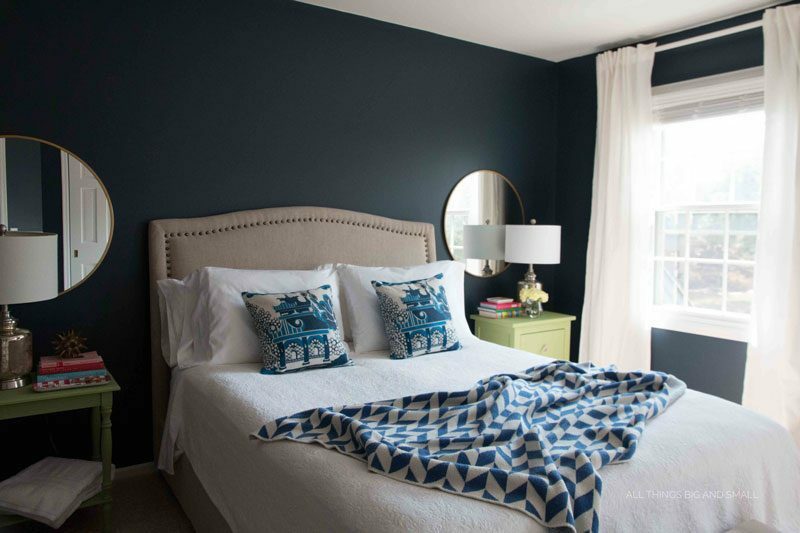 In our guest room, we used BM Hale Navy on the walls and Benjamin Moore Simply White for the trim. It is a south-west facing room which gets a ton of sunshine, and yet it never looks washed out! On the other side of our house, we used it in our laundry room. This room faces north-east and receives very little light. 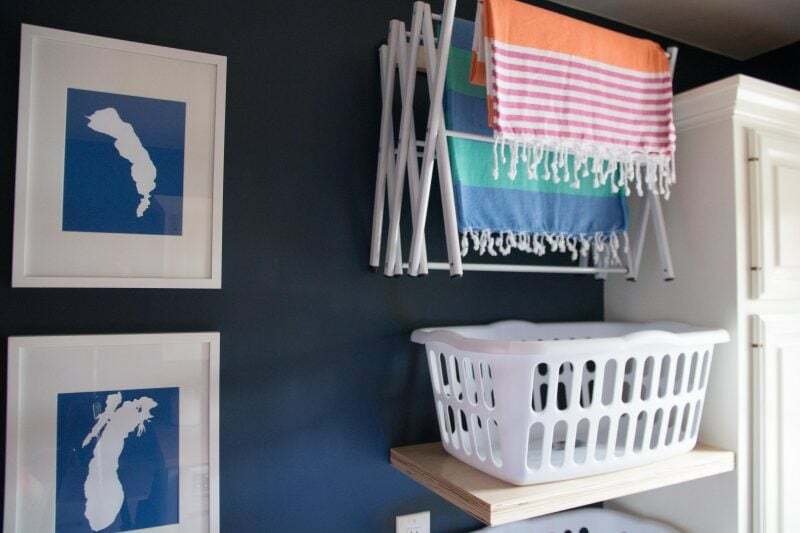 Nevertheless, Benjamin Moore Hale Navy looks fantastic and even expands the narrow walls of the laundry room. There is little doubt Hale Navy is one of the best navy blue paint colors. 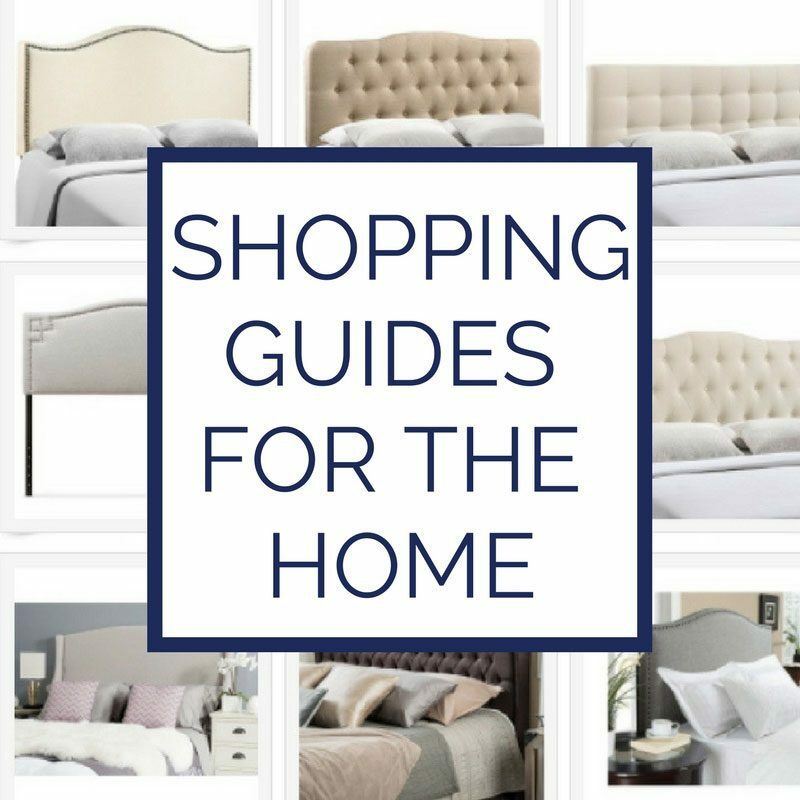 But, if you aren’t sure about choosing it for cabinets, an exterior project, a bedroom, or an accent wall, hopefully, these comparisons will help you decide. 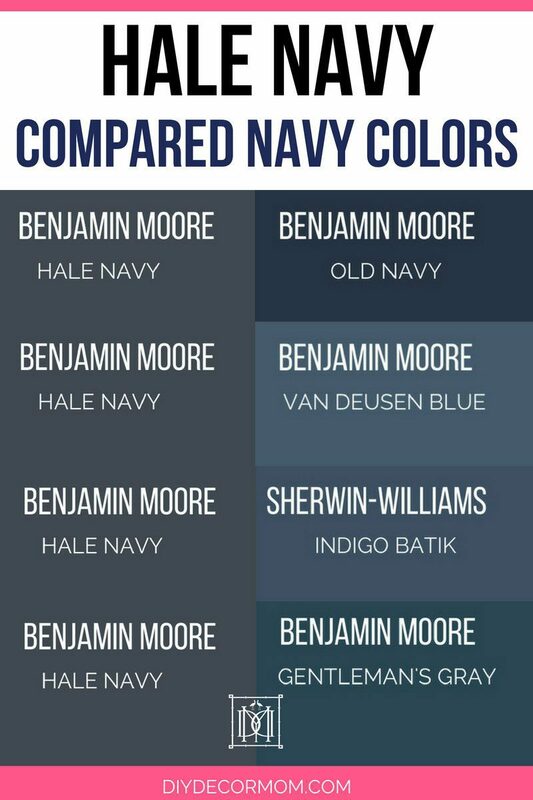 And don’t forget to check out my post on the best navy blue paint colors! Above you can see Benjamin Moore’s Van Deusen Blue. You can see below how Hale Navy is significantly darker than Van Deusen Blue and has less green in it. 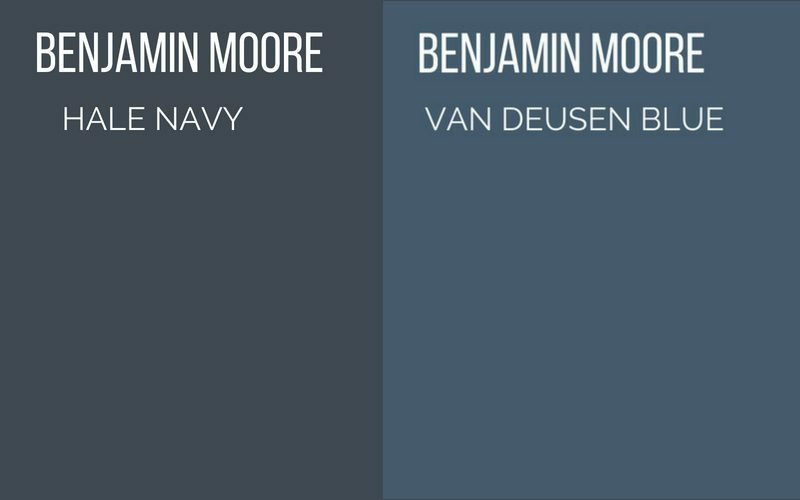 To see rooms with Van Deusen blue shown, please go to this blog post: Best Navy Blue Paint Colors. 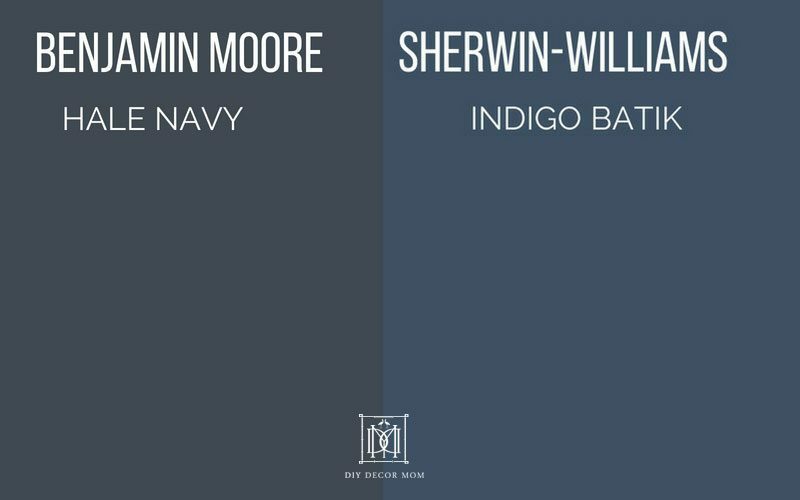 Sherwin-Williams Indigo Batik is another fantastic navy blue paint color. 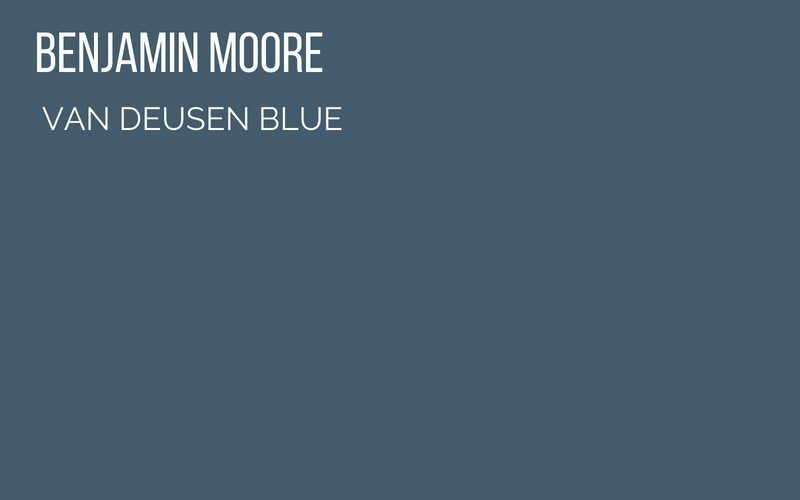 It is similar to BM Van Deusen Blue in that there is a lot of green and it is much lighter than Hale Navy. 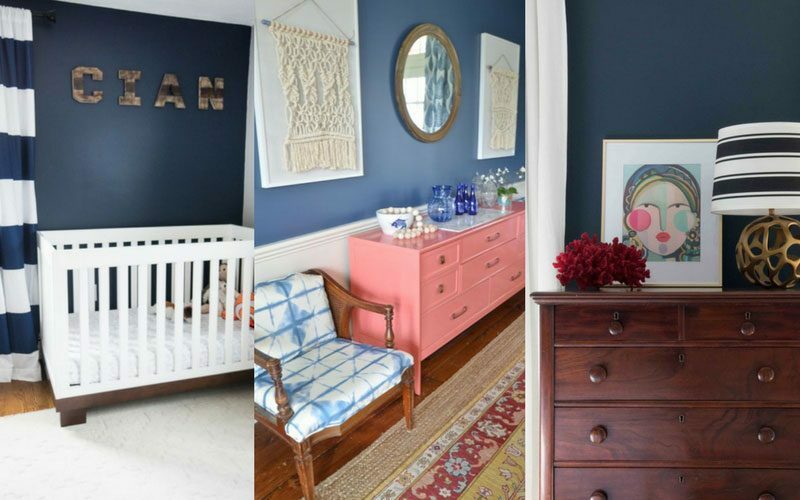 See a fantastic room painted Indigo Batik in this post: Best Navy Blue Paint Colors. 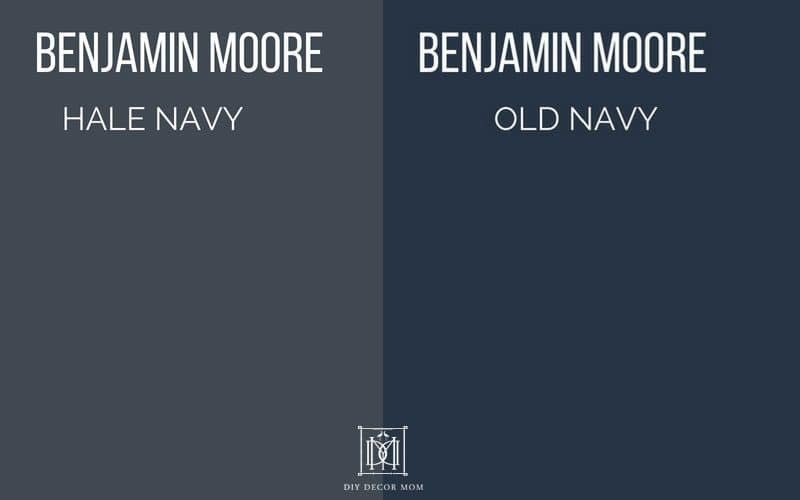 Out of all the paint colors, Benjamin Moore’s Old Navy is the most similar to Hale Navy. It is a very true blue “navy blue” and has less gray than Hale Navy and is significantly darker. See below with the paint swatch comparison. 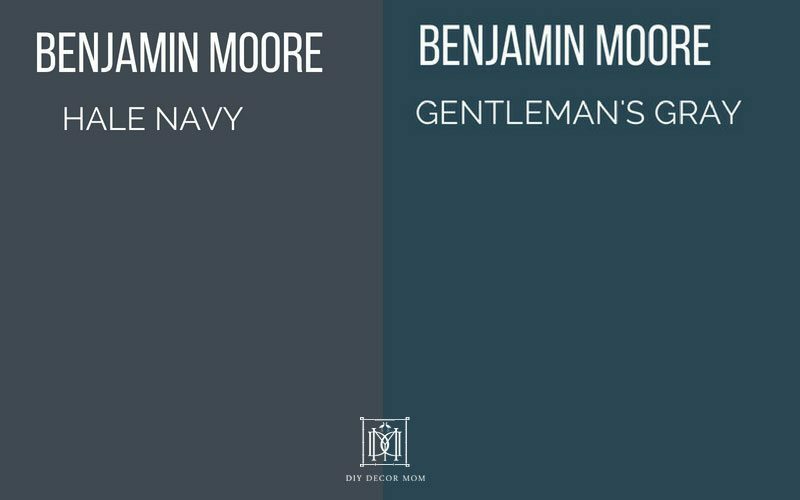 Finally, you can see how Hale Navy compares to Benjamin Moore’s Gentleman’s Gray. I’ve used both in my homes–Gentleman’s Gray in our old nursery and Hale Navy in our current gues room. 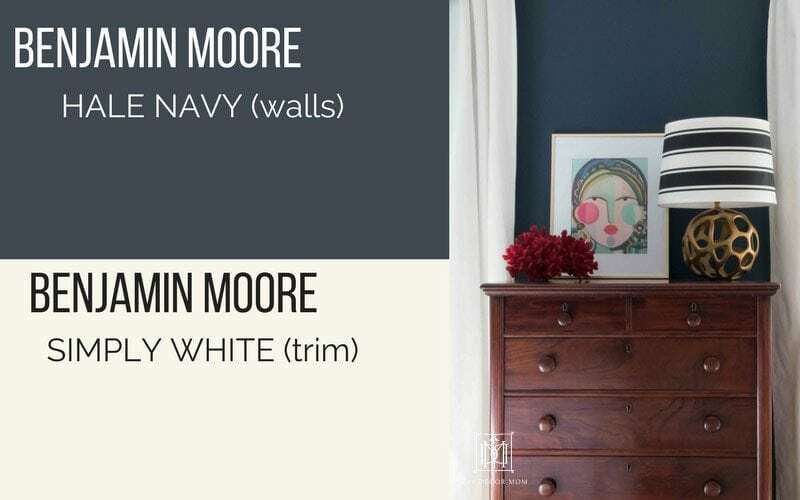 See how they compare with the swatches below, and see Gentleman’s Gray bedroom here in The Best Navy Paint Colors. 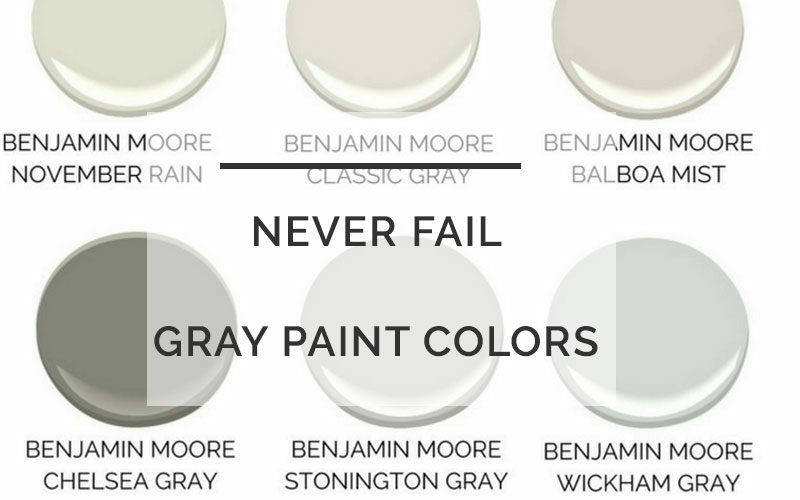 You can see from the paint swatches that Gentleman’s Gray has a lot more green in it than Hale Navy. And after living with both, I can tell you that that is true. 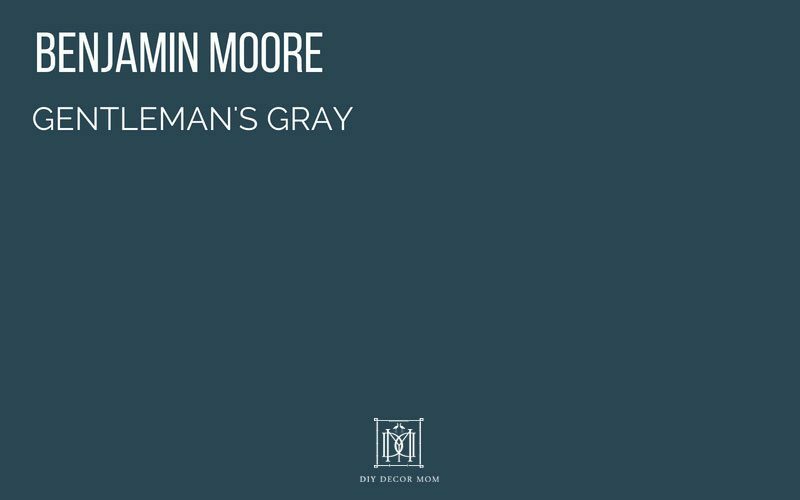 Gentleman’s Gray is more of a chameleon color and changes a lot with the light. It is very similar to Farrow & Ball’s Hague Blue. Still undecided? 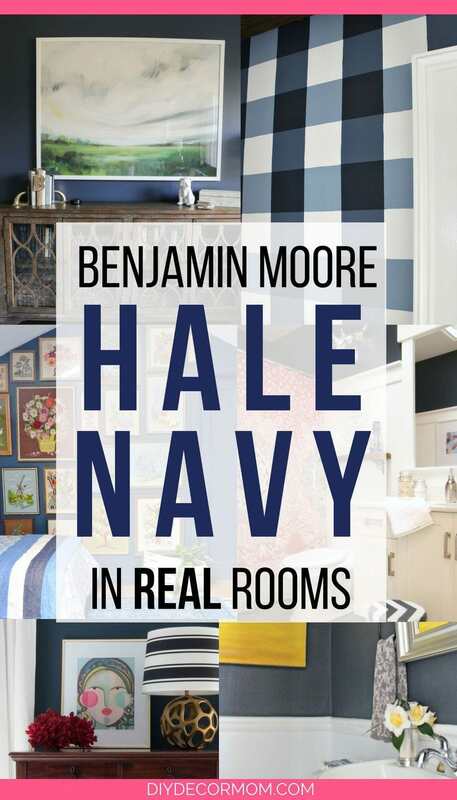 Pin the graphic below, so you don’t forget this blog post and read on to see actual rooms with Hale Navy! Want to see how Hale Navy really looks? 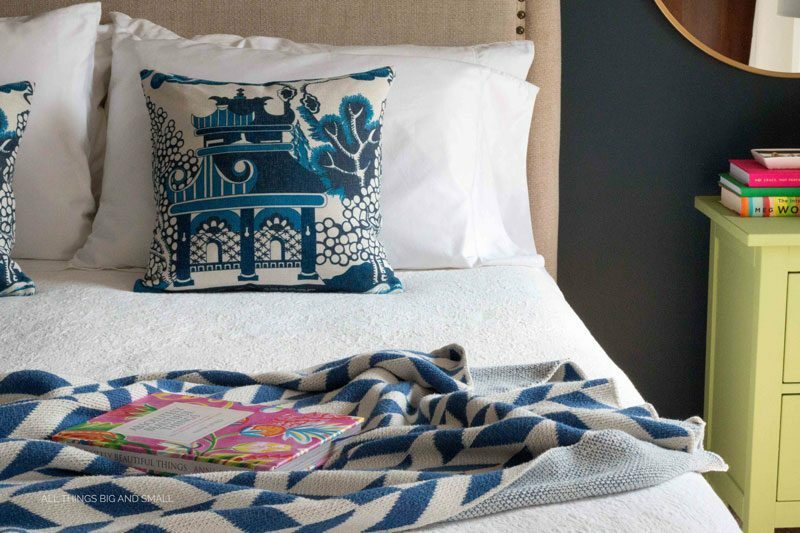 Well, I rounded up some of my friends’ fabulous navy blue rooms and am sharing them below! To see more of each room please click on the link above the photo! These rooms show you the amazing versatility of Hale Navy, and how it looks good in so many different lighting conditions! 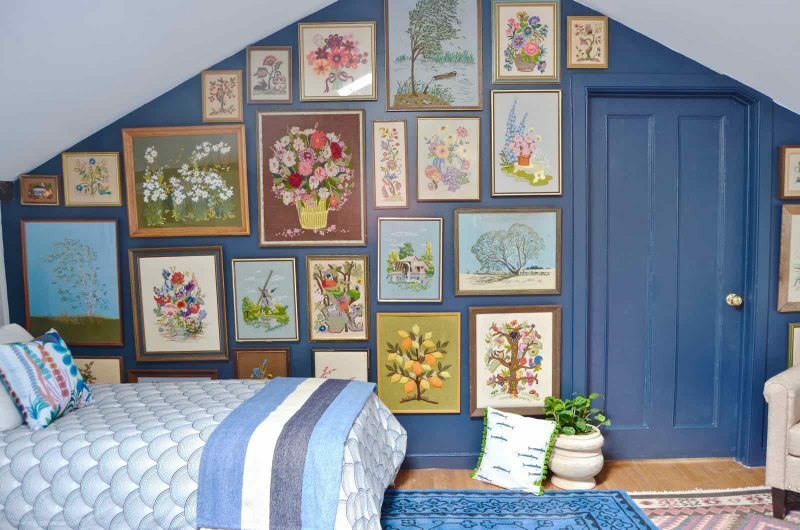 At Charlotte’s House shows how good it looks with an eclectic gallery wall. Bower Power sets a grown-up mood in her master bedroom sitting room. 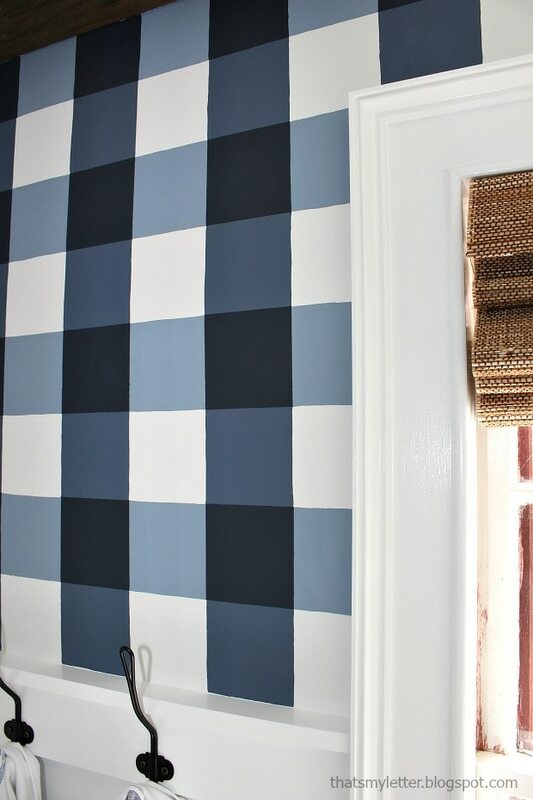 Heather from Southern State of Mind shares her DIY solution to expensive navy blue grasscloth wallpaper with her Hale Navy painted wallpaper! It’s genius! 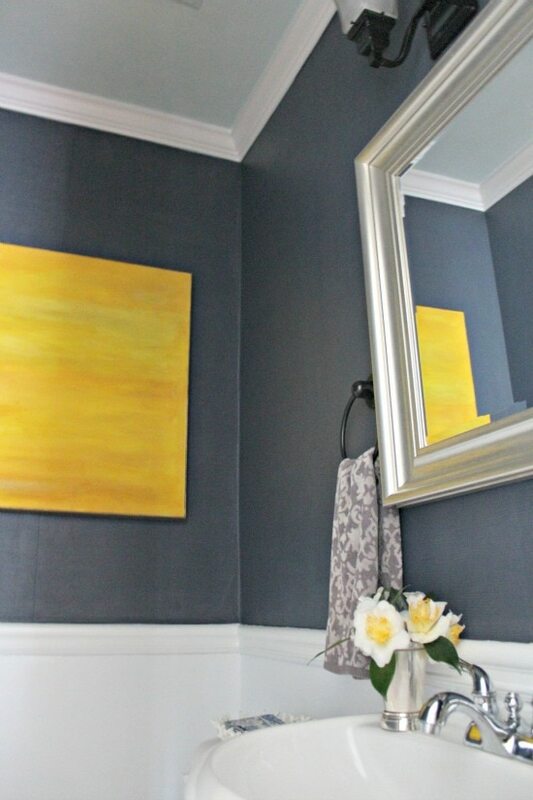 The Happy Housie shows how fabulous Benjamin Moore Hale Navy is in her gorgeous bathroom with beadboard. 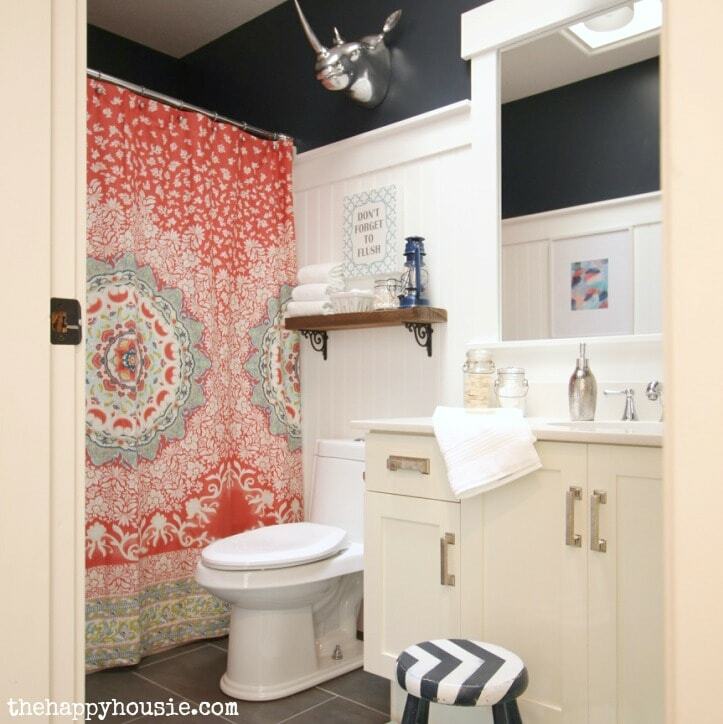 The Happy Housie shares her Hale Navy-painted bathroom above. And oh my goodness, I can’t get over this bathroom! 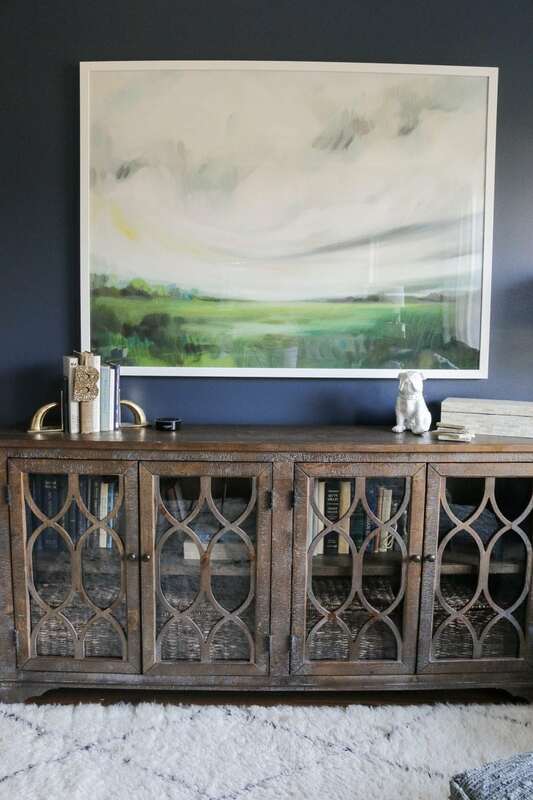 Jaime Costiglio steals the show with her Hale Navy Buffalo Check Painted Walls. I mean, seriously! Before You Go, Don’t Forget to Grab all Your Painting Supplies! I recommend Zinsser Smart Prime (if you can find it, but I think it has been discontinued) or Zinsser Bullseye 1-2-3 as a substitute. Sherwin Williams waterborne alkyd primer is a good alternative as well. Use this instead of sandpaper. Using sandpaper will rub off too much of the varnish and the stain on your oak wood trim will permeate your newly painted white paint. I use Red Devil 18″ Dual Edge Painter’s Edge Guard (You are going to want this if you have wall-to-wall carpeting or hardwood floors that you want to protect. I use it along with Painter’s Tape to ensure that I don’t have drips on my floor. zero VOC and does a great job of sealing wood! I use painter’s tape on the hardwood floors, over the plastic window inserts, and around the shower. Otherwise, I just cut in by hand. But painter’s tape is a necessity in every home and I never do a project without it. Having a real metal paint tray will make your life so much easier! Ditch the flimsy plastic ones which are always spilling. I don’t even use plastic liners in mine, I just rinse it out after each coat and call it a day! Plus, you save plastic from going to the landfill! Thanks for sharing my bathroom. 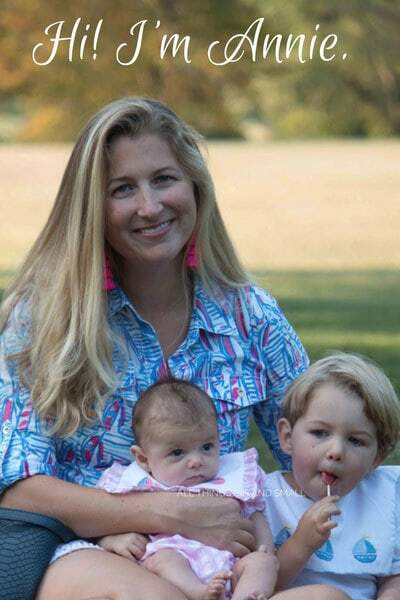 We still love the buffalo check 2 years later. You have me crushing on navy hard and wish I could paint everything NAVY! Thank you for allowing me to share it! I know! I wish we had more rooms we could paint navy! 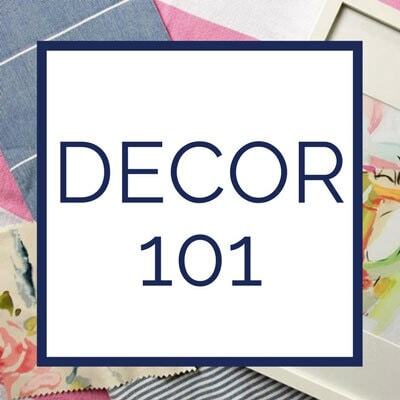 I am dying to do your navy blue buffalo check wall but know I don’t have nearly enough patience or dedication to make it look good!